Looking at the title of the review, we can't help but think a quick explanation is in order. Namely, one clearing up which product we are reviewing. 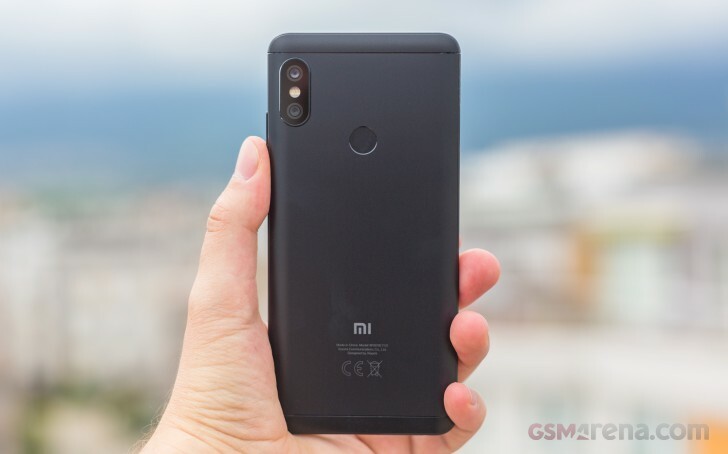 We've seen horrible smartphone naming conventions in our time as reviewers, but as far as sheer complexity and confusion of choice go, Xiaomi arguably takes the cake with the current Redmi generation. Not only do they have identical products available under different names in various markets, but we often come across sellers offering the devices with the ambiguous "Global" moniker which pair hardware meant for one market (typically China) with software for another market (normally more Western in terms of localizations and preinstalled apps) . What we have today for review is the Xiaomi Redmi Note 5 AI Dual Camera, or in other words, the highest-end modification in the current Redmi lineup. The phone sports a large 5.99-inch, 18:9 IPS panel, an equally beefy 4,000 mAh battery and a decently powerful Snapdragon 636 chipset. What mostly sets it apart from the Xiaomi Redmi Note 5 Pro and the regular Redmi Note 5 (or Redmi 5 Plus) is the camera setup. The later has a single main snapper at its disposal, so the distinction is easy enough. Both other devices feature a dual setup. As the "AI" moniker suggests, the one on the newer Redmi Note 5 AI Dual Camera is imbued with some extra smarts. More importantly, however, it has a brighter f/1.9 lens for the main 12MP camera. Also, larger 1.4µm pixels and dual pixel phase detection autofocus. There have been some changes to the selfie setup as well. Interestingly enough, the Chinese Redmi Note 5 AI Dual Camera variant also features 4G standby on both its SIM cards - a feature the Indian version is lacking. That is a bit confusing, to say the least, considering the importance of VoLTE in the emerging Indian market. These are subtle differences, but not insignificant ones. Especially for a website like ours, which specializes in providing as accurate phone specifications as possible. Unfortunately, even for our trained eye, there is no easy way to tell apart the Xiaomi Redmi Note 5 Pro and the Redmi Note 5 AI Dual Camera just by looking at them. Or at least, we haven't found one. The duo shares an identical body, down to the last mm and even weigh absolutely the same. Their confusing coexistence can best be explained through market segmentation. The Redmi Note 5 Pro came first and was tailored for an Indian release. Following it, the Redmi Note 5 AI Dual Camera introduced the upgrades mentioned above to the company's home market of China. Both phones have a starting price just shy of $200, making for a really sweet deal based on the price/performance ratio. Still, we guess you'd be better off picking up the updated version, if you have the choice. One clue which could potentially help the identification process when you are shopping online includes the 3GB/32GB configuration, which currently seems to only be available on the Redmi Note 5 AI Dual Camera. There is also the MIUI 9 software, which is based on Android 8.0 Oreo, instead of Android 7.1.2 Nougat. 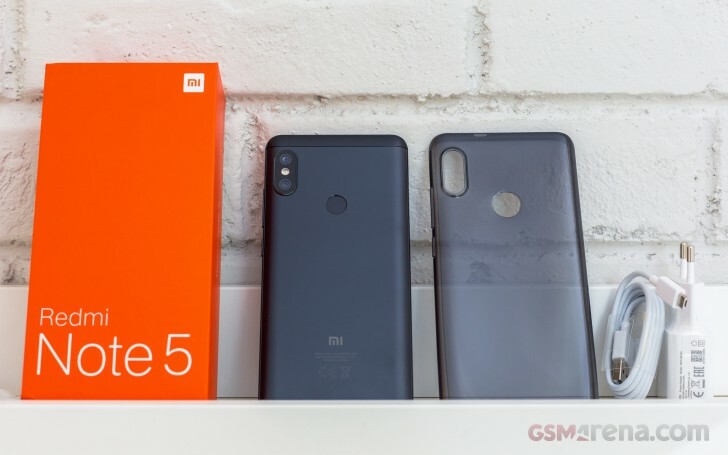 However, it is also worth noting that big Xiaomi vendors tend to offer their own ROM modifications and software forks, making the Android core version a less reliable identifier. Checking whether the model number is M1803E7SG could also be helpful. So, with that cleared up and all the preparations to identify the newer Redmi Note 5 AI Dual Camera properly covered, join us on the following pages, as we dive deeper into Xiaomi's amazing value offer, to see just how good it is. If you've seen one Redmi box, you've mostly seen them all. The same goes for the Redmi Note 5 AI Dual Camera. The box comes in the standard white and red configuration. It lacks a plastic tray, or any other fancy cradles and separation or padding materials on the inside, but still feels sturdy enough to take a beating. Besides the phone and some leaflets, you also get a basic 5V@2A wall charger in the box. Or at least, that's what our review unit came with. So, to take advantage of the supported Quick Charge, you have to supply your own adapter. We get it, cost-savings measures. A basic microUSB 2.0 cable completes the charging set. If it's any consolation, we've seen worse in the past. A basic charger is still better than no included charger. On the flip side, Xiaomi did throw in a soft, transparent silicone cover case. It's a great little bonus, which is quite alright in quality and does allow you to start using the device straight away, worry-free. 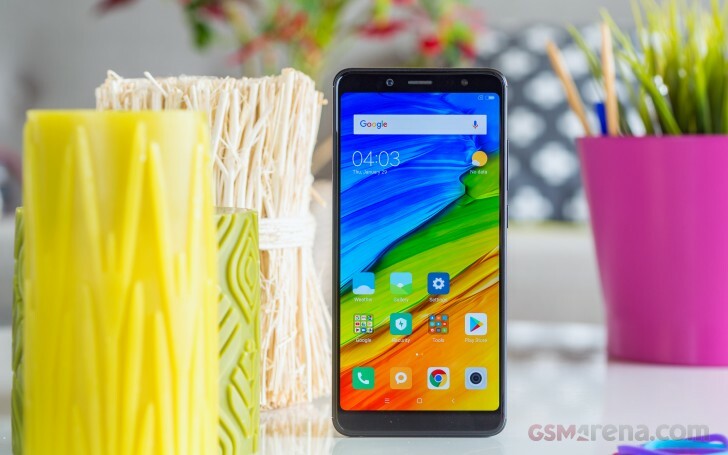 Is this phone as good as Redmi note 6 pro?